about the wellness of our soul." If your ideal holiday in Riccione contains the word "Thermal baths" Hotel Negresco is the 3 star hotel perfect for you! We are very close to Riccione Terme and we offer our guests holidays dedicated to wellness and to themselves. Riccione boasts one of the most important thermal centres of Italy, classified 1° level Super! In this beautiful centre overlooking the sea and immersed in the green you can fully enjoy the beneficial effect of these healing waters. 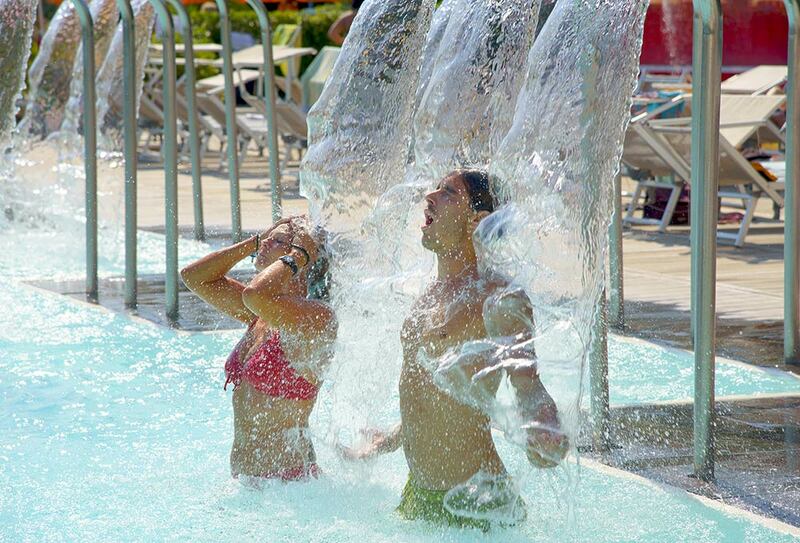 Next to the centre you will also find Perle d’Acqua, the new thermal park of Riccione Terme. In this large open sky SPA, you can immerse yourself in heated pools, whirlpools, chromatic tanks and hydro revitalizing paths. Moreover, wellness treatments, water fitness activities and animation for children.